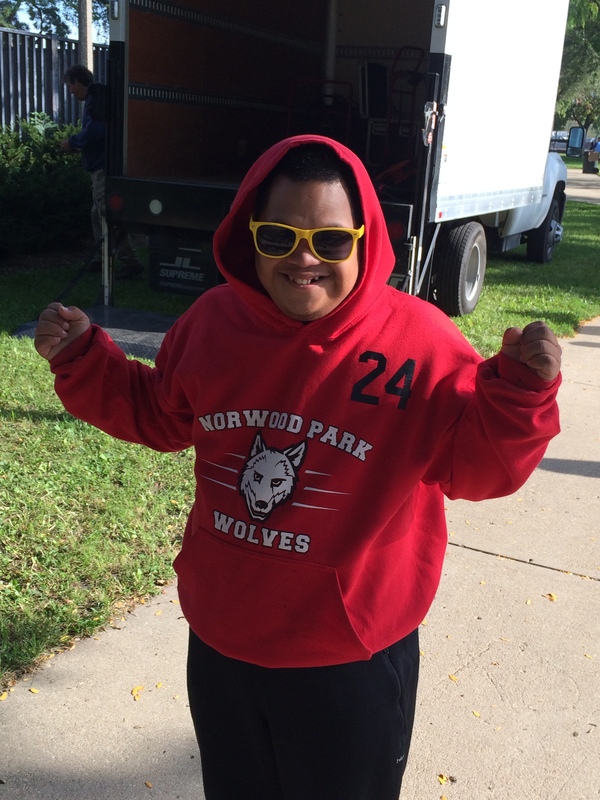 Sept. 26 proved to be a perfect day for Special Olympics Illinois Chicago/Area 3’s annual bocce competition. Beautiful and sunny skies allowed more than 600 athletes and coaches and 150 volunteers to descend on McGuane Park in Chicago’s Southside community of Bridgeport. 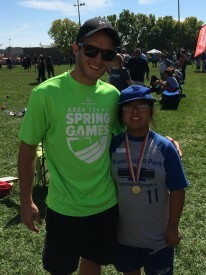 Many of the Chicago athletes set incredible records and won their divisions which will allow them to advance to the next level of competition – Summer Games in Normal next June. New to the bocce event was the Special Olympics Healthy Athletes Fun Fitness. More than 100 participants received free fitness screenings that focused on flexibility, strength and balance in cooperation with aerobic exercise. The fitness event developed in collaboration with the American Physical Therapy Association (APTA) for Special Olympics Healthy Athletes®. Chicago/Area 3 would like to extend a note of appreciation to the community of Bridgeport for the support of bocce over the years. The bocce competition was successful because of the team in this neighborhood. Plus, a special Thank You goes to Elmer Mestrovic. Elmer’s support over the years of this event has made Area 3’s bocce a competition that delights everyone involved! Congratulations to all individuals involved! 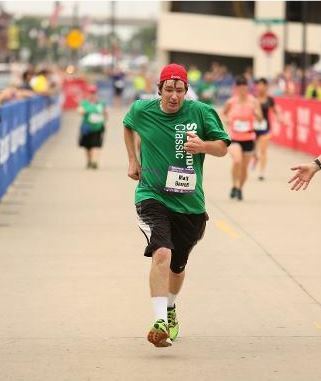 Matt has been running since attending Elmwood High School. His events then included the 800 meter, the mile and two mile. 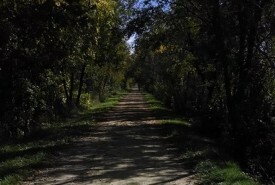 After graduation, Matt started running with the Running Central Team Steam group and runs every Tuesday and Thursday with other community members. 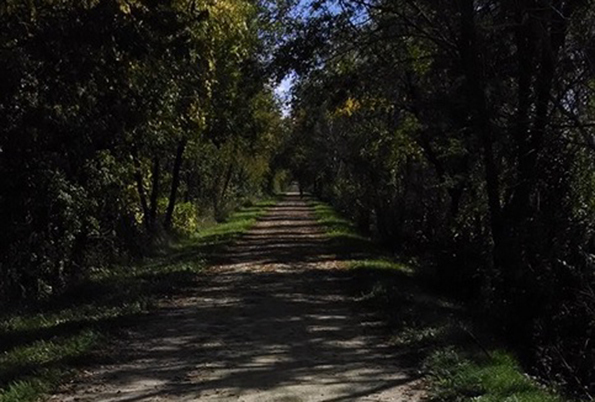 This group trains runners for the Steamboat Classic in Peoria. In June, Matt ran the 15K at the Classic. If you missed the 6th Annual Taste of Something Special on Oct. 8 at The Walk Way in Mattoon, words can only describe it as delightful. This yearly fundraiser, presented again by S & S Services Company, benefits Special Olympics Illinois East Central/Area 9 by raising funds for the 10 competitions and 2 family fun events held throughout the year. Patrons of the event enjoyed food provided by Pagliacci’s and El Vaquero of Mattoon, while sampling different wines and spirits provided by Koerner’s Distributing and St. James Winery of Missouri. 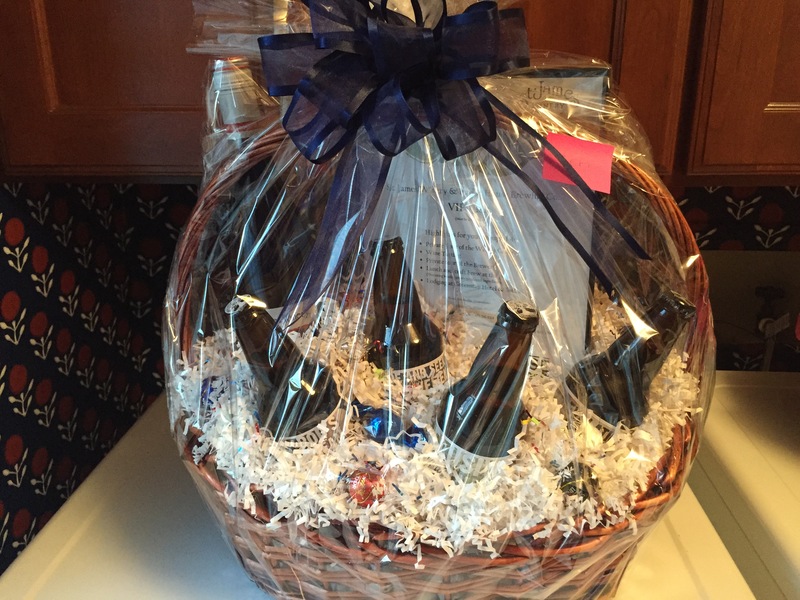 Several area businesses, including First National Bank, Diepholz Auto Group, and the Cross County Mall, donated auction items for the baskets presented for the silent auction with again all proceeds benefiting the athletes of Area 9. Among the hot selling items at the silent auction this year were an outdoor fireplace filled with spirits, 4 box seat tickets for a Cardinals game, a St. James Winery Basket with Winery & Brewery tours with overnight stay, and the “Y Not Eat a Blizzard” bundle with a 6-month family pass to the Mattoon YMCA paired with a free Blizzard from Dairy Queen a week for a year. The Taste of Something Special was a huge success, having raised more than $12,000. 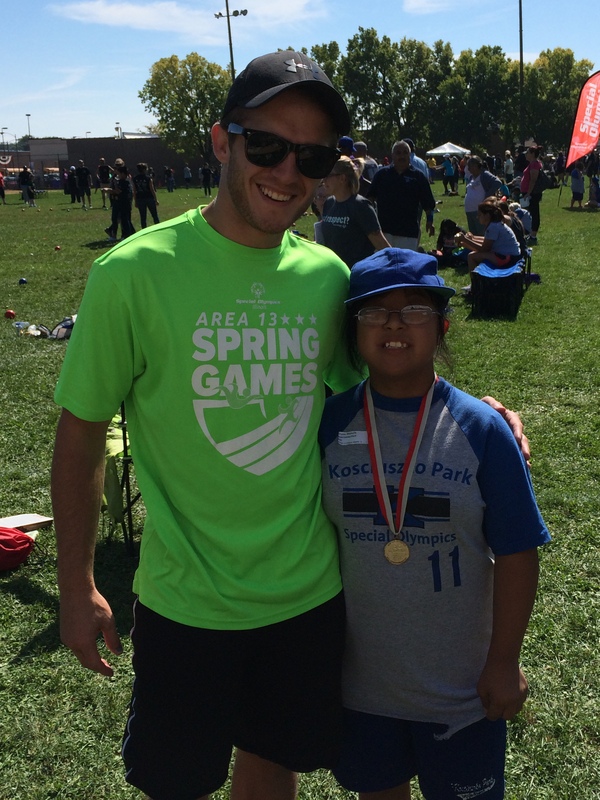 This fundraiser would not have been such a hit without the support of the honored Special Olympics Illinois athletes from Area 9 and the dedication of the 2015 TOSS committee members, who participated in the planning and implementation of the TOSS event. The athletes who were honored at the event included Area 9 Global Messenger Kimberly Stivers, Anthony Sheehan, Tyler Hahn, Brooke Ingram, Kahla Masuga, Rachel Zakutansky, and Drew Walters, whose mother is a newly appointed member of the Taste of Something Special Committee. 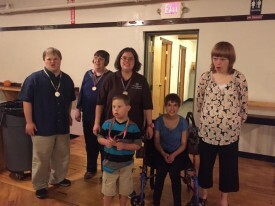 “Mere words can’t describe the time, hard work, and commitment these wonderful community members and fans of Special Olympics Illinois East Central/Area 9 exhibited to ensure the success of the fundraiser,” said Area Director Vanessa Duncan in reference to the Taste of Something Special Committee. Members this year were Tonja Arthur, John Covington, Peggy Dow, Rick & Dalena Hall, Teresa Metzger, Leann Polston, Rebecca Polston, Catherine Rogers-Bovard, Lissa Skocy, Mark Sheehan, Moni Sheehan, Colleen VanGundy, Tiffany Walters, and Celeste Webb, with special support from Dawn Zachow of Eastern Illinois University. The Presenting sponsor for the 6th Annual Taste of Something Special was S & S Services Company of Mattoon. Gold Medal Sponsors were Lyondellbasell and RR Donnelley. Silver Sponsors included Duncan Window Company, First Neighbor Bank, Lorenz Supply Company, Midland States Bank, and West & Company, LLC. Athlete Sponsors were Dairy Queen, 19th St., Mark, Moni, and Anthony Sheehan; Sheehan Construction Inc.; Niemeyer-Kubota, Tom & Linda Niemeyer; John and Kathleen Covington; Mears Automotive Inc.; Anamet Electrical Inc.; Consolidated Communications, Inc.; First Mid-Illinois Bank & Trust; Leisure Pools; Bob and Judy Jones; Omega Nu Chapter of ESA; Preston Owen of Pagliacci’s; El Vaquero; and First National Bank c/o Preston Smith. Bronze sponsors included the Mitch Webb Memorial Scholarship; Pilson Auto Center; State Farm Insurance-Sherry Branson’s Office; Kima Properties; Care A Lot Day Care; and Phyllis Karpus.